The Bailey 16″ Table Top Mini Slabroller is a fantastic slab tool for both professional and hobbyist. Its small, portable, and makes beautiful slabs every time. No need to clamp it down, just place it on your table and the rubber feet will hold it in place while you effortlessly roll your slab. Slab dimensions are 16″ by 18”. Assembly is required. *Please note the 16 inch slab roller comes with a canvas already. 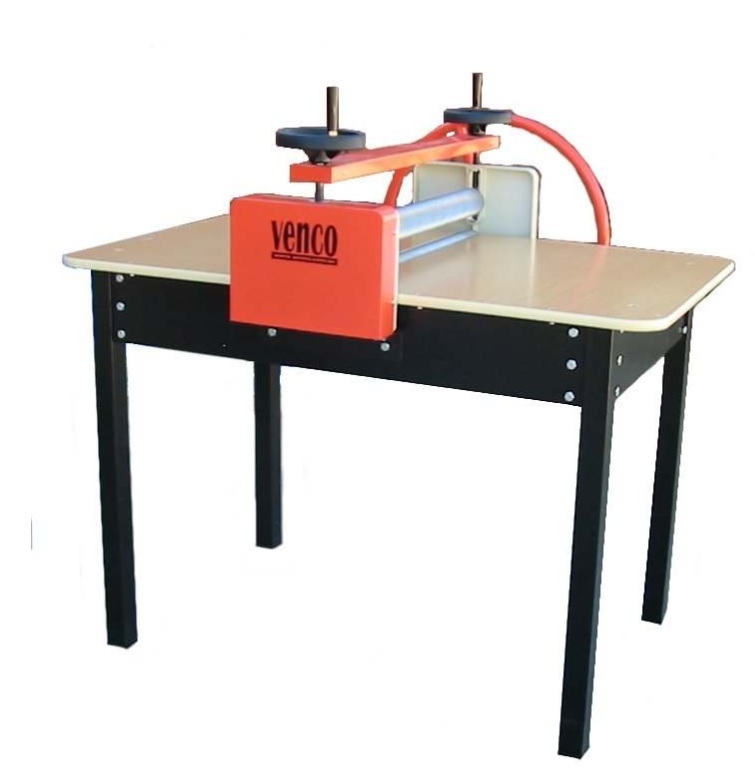 Venco has manufactured their NEW Table Top Slab Roller. It’s small and lightweight frame will allow it to be placed on a desk or work bench. Perfect for the home potter. 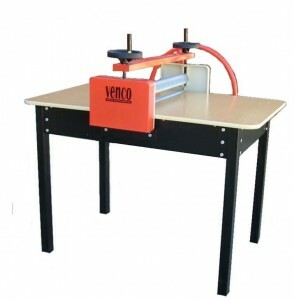 It’s our NEW durable and lightweight table top roller. 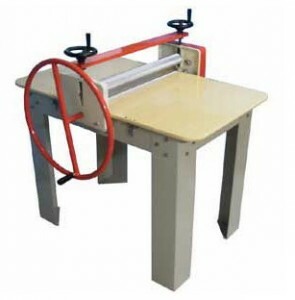 The table top roller is made from durable waterproof ply with removable side tables for easy storage. It has been manufactured with a double roller gear drive for easy rolling and it’s 460mm roller width means lots of clay can be rolled. To view our range of slabrollers visit our online shop.